Roulette is more accessible than ever before. 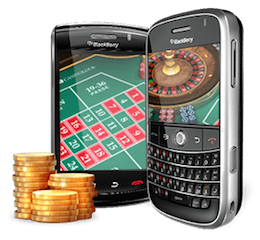 One of the most popular ways of playing roulette on the go is using a mobile device such as Blackberry where playing roulette for real money is easy. Many online casinos will offer roulette apps or dedicated mobile sites that are designed for the iPhone, Android, Windows Phone devices and Blackberry. 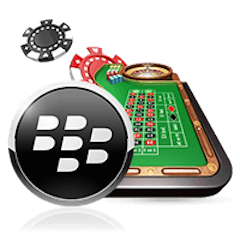 Those who own a Blackberry will be able to play a wide variety of roulette games, as well as other popular casino favorites like blackjack. Some online casinos will offer added incentives in the form of roulette signup bonuses and promotions if playing on a mobile device. These will usually be offered in the form of a deposit bonus or free spins at a particular slot. Tip: See our roulette deposit bonuses article for more on this important topic. Native apps are not offered by the leading casinos. Fortunately, responsive web design allows games which run on HTML5 or Flash technology to adapt to your screen size and touchscreen controls. 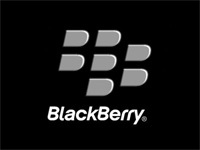 You do not need to do anything other than accessing the casino via your Blackberry device. The casino will recognize your operating system and screen size and adjust. If it does not, then there are plenty of leading casinos which run this technology very smoothly. Registering for a casino is possible on mobile devices including Blackberries. This can be fiddly, depending on how the individual casinos have things set up. You can always register on your PC or tablet, and then access your account through your Blackberry afterward to save encountering this type of issue. Players from the US suffer from a limited selection when playing mobile roulette, this due to many sites not allowing US users since the introduction of the Unlawful Internet Gambling Enforcement Act in 2006. This ruling has not only limited the number of roulette options but has also made financial transactions to and from sites more tricky, although offshore sites will usually offer a good number of alternative payment options. The leading site which offers games for your Blackberry is Bovada Casino. This casino is part of the Bodog group and licensed by the Mohawk nation based in Kahnawake, Canada. You will find a selection of games from Real Time Gaming and BetSoft Many games have already been adapted for mobile phone sized screens – with more being added all the time. International players will have a much wider range of options when wanting to play Blackberry roulette. Many of the well-known casinos, particularly those linked to big brand sportsbooks will have dedicated mobile responsive games which include roulette variations. Betway is a prime example, this casino is powered primarily by the impressive Playtech software suite. They offer a huge number of games which you can play in the browser window of many types of mobile device. You will also find live-dealer roulette at this highly regarded casino. You’ll generally find fewer roulette options using a mobile device than you would at a desktop casino. There will be many occasions when there are just two varieties of the game available– European Roulette and American Roulette. The major difference between these games is that the European wheel has just one zero (0) and the American game has two (0 and 00). This means that the house edge is larger when playing the American game, being 5.26% in comparison to 2.70% when playing at a European game. As such, if offered the opportunity of playing both games, you should always plump for the European version. Mobile gaming is a relatively new phenomenon and since its introduction, the experience has already improved immensely, with the games featuring more realistic graphics and smoother gameplay. This improvement will undoubtedly continue, and the number of mobile options will surely increase. These are exciting times for those wanting to gamble on the go and roulette players using Blackberry devices have never had it so good.